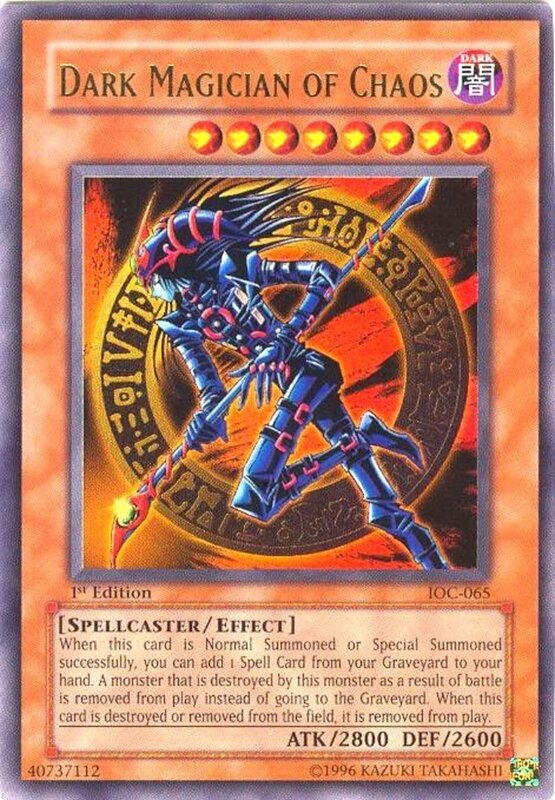 The signature card of original anime protagonist Yugi Moto, Dark Magician stands alongside Blue-Eyes White Dragon, Red-Eyes Black Dragon, and Buster Blader as one of Yu-Gi-Oh's most ancient and iconic monsters. Although most classic cards (legal ones, anyway) are far outclassed by modern offerings, Dark Magician stays relevant in competitive play thanks to a myriad of awesome support cards. But with hundreds of support members to choose from, which ones reign supreme? Here are the top ten cards you should buy for any Dark Magician build! Other than Dark Magician himself, of course; hopefully I don't need to remind you to include him in his own support deck. 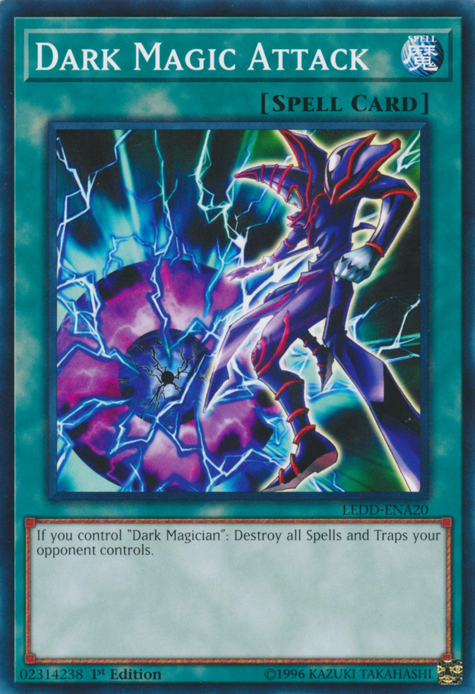 With similar artwork and the same spellcaster type, dark attribute, and level of 7, Magician of Dark Illusion heavily draws inspiration from Dark Magician. He also reverses Magician's battle stats, wielding 2100 ATK and 2500 DEF, and his name even alters to "Dark Magician" while fielded, great for activating certain name-dependent effects with an alternative to the genuine article. Dark Illusion also offers two effects that can each be used once per turn. 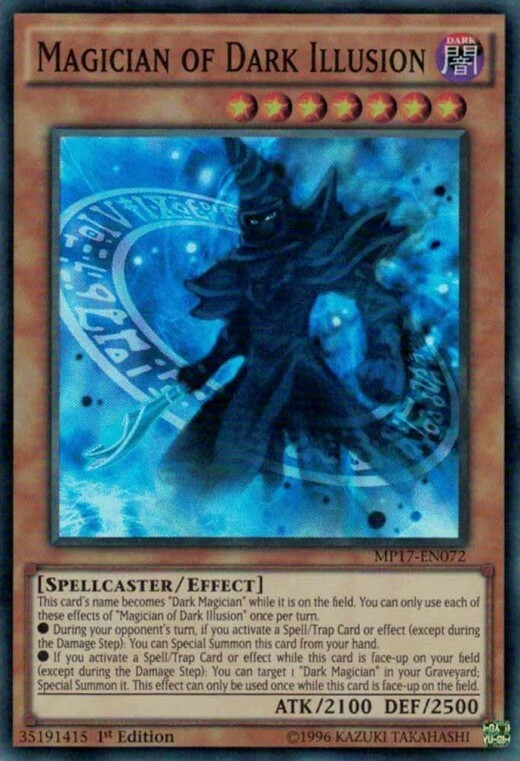 First, during your opponent's turn, if you activate a spell or trap (except in the damage step), you special summon Dark Illusion from your hand, a great way to gimmick him to the field without tributes. 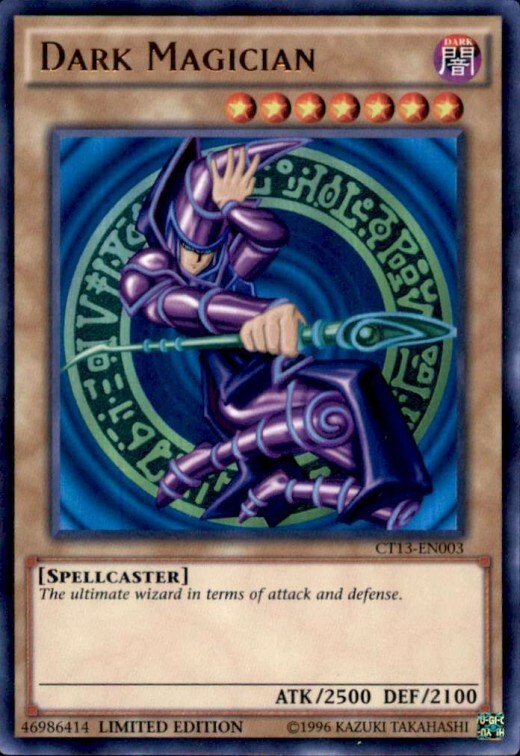 Next, if you activate a non-damage step spell or trap while this card is fielded, you can special summon Dark Magician from your graveyard, although this can only be done once. Good stats, an extra summon method, and a Dark Magician revival proves that sometimes alternative illusions are more impressive than the real thing. 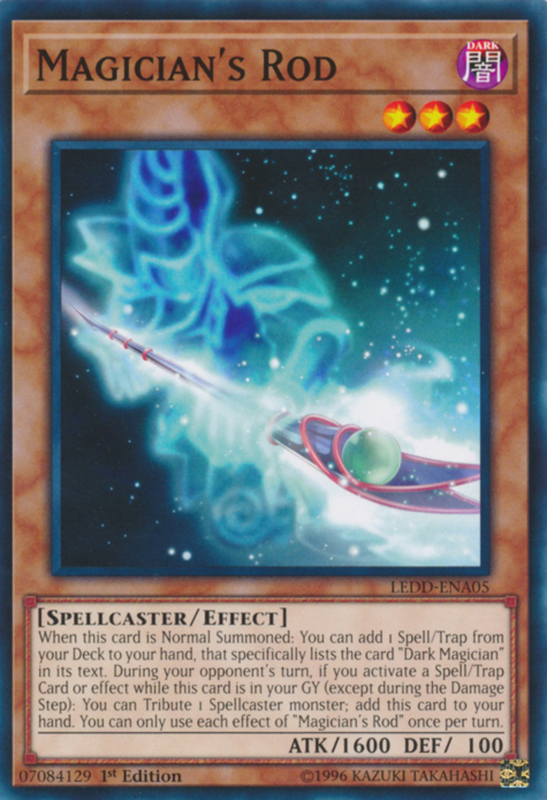 As a cheap level 3 monster, Magician's Rod can be normal summoned without tributing, and when this occurs, you can add a spell or trap that specifically lists Dark Magician in its text from your deck to your hand. Thankfully, these tend to be some of the best support members, and we'll see a few later in this countdown. Additionally, if you activate a non-damage step spell or trap during your opponent's turn while this card is in the graveyard, you have the option to tribute one spellcaster monster you control to add this card to the hand. Effective and easy to summon, don't overlook this often-forgotten support. Sometimes simple is best. 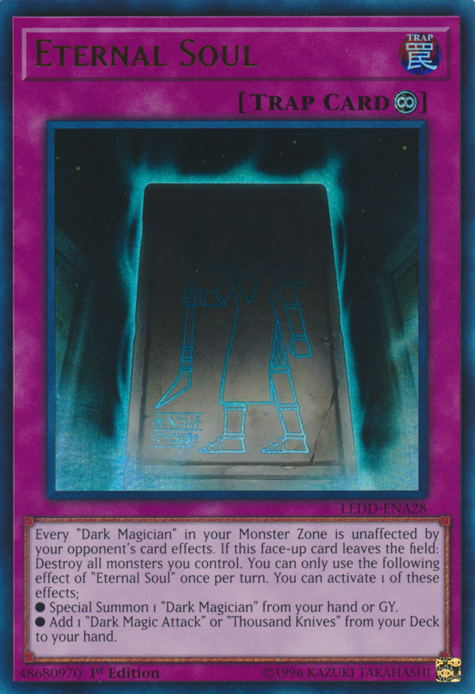 Dark Burning Magic (something my exes specialize in) offers tremendous power for the cost of a limited activation window—you can only use it when you control Dark Magician and Dark Magician Girl. Once your field is set, play Burning Magic to destroy all cards your opponent controls. Yep, this card combines two of the best spells (Raigeki and Harpie's Feather Duster) into one potent package—at least when it's able to be used. Crafty players may remember that some monsters (like the above Dark Illusion) can alter their names to help you meet the conditions, but this is one effect where that strategy won't work—the original (not altered) names are checked. Luckily, it's okay if you have other creatures out too; fielding a Jinzo won't disable your usage of the card assuming you have the two required monsters. 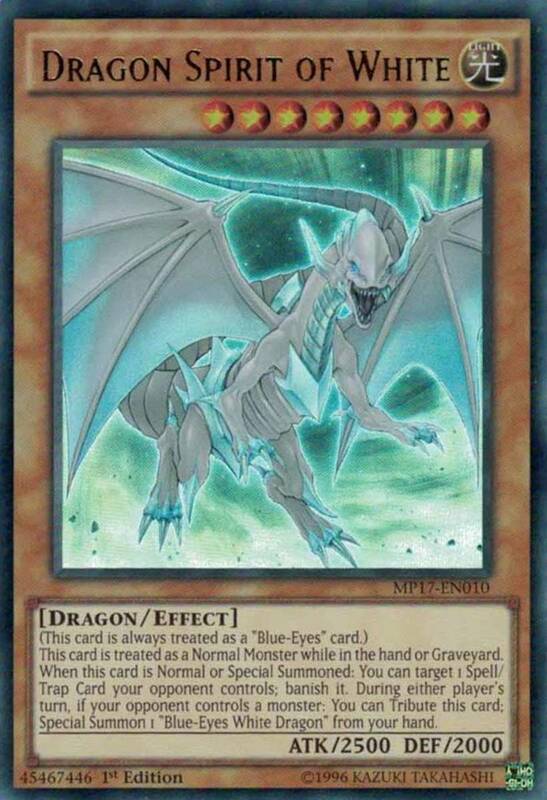 Hey, if we're taking card names like Blue-Eyes White Dragon seriously, why not this one? Besides, while the title may be silly, the awesome effects aren't. 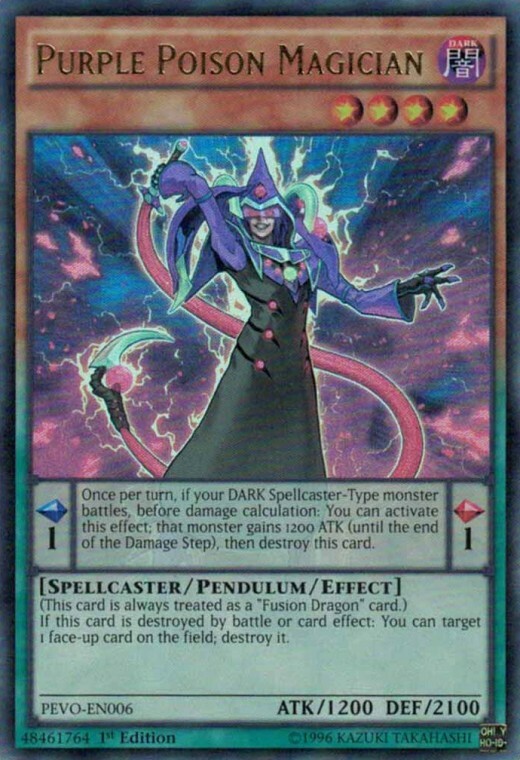 In the pendulum zone, Poison Magician wields a desirably low scale of 1 (players want one high and one low), and once per turn, you can have a dark-attributed spellcaster-typed monster (like Dark Magician) gain 1200 ATK for a single battle, but you must destroy Poison Magician afterwards. As a monster, Poison Magician is always treated as a Fusion Dragon card. 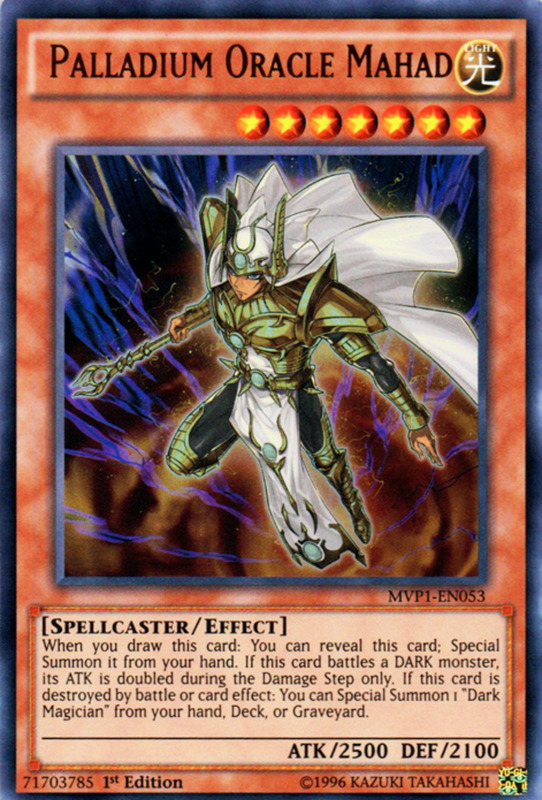 This helps the Supreme King archetype, but we're more interested in its other effect: when this card is destroyed by battle or effect, you can target and destroy one face-up card on the field. Notice the lack of restrictions on this terrific ability: it lets you choose what to destroy, activates even if you (not your opponent) initiated the effect destruction, and can apply multiple times per turn if you field more than one Poison Magician. Finally, considering its level of 4, Poison wields a stupendous DEF of 2100 and requires no tributes to normal summon or set, making this an easy choice for pendulum/Dark Magician mashups. Chocolate, magicians, and girls are probably a teenage boy's three favorite things, so Konami figured why not combine them into a card? Despite the campy name, Chocolate Magician Girl wields two great abilities. The first lets you (once per turn) discard a spellcaster to draw a card. While your overall hand size doesn't change with this, it handily fills your graveyard to set up for revivals and lets you stock your hand with more-desired monsters. Once per turn, the second trait can activate when Chocolate is attacked: you may target any spellcaster in your graveyard (other than another Chocolate), special summon it, change the attack target to it, and halve the attacking monster's ATK! This offers a superb blend of defense into your deck and can indefinitely stall opponents who know that if they choose to strike, they'll only be playing into your hands by weakening their monster and fielding a new one to your area. As a continuous trap card, Eternal Soul stays out until another card removes it from the field. Its first effect works wonders for protecting your ace: every Dark Magician you control is completely unaffected by opposing card effects! That's an amazing ability that means Dark Magician will only be able to perish through battle. Additionally, once per turn, Eternal Soul lets you either special summon Dark Magician from your hand or graveyard, or add one Dark Magic Attack or Thousand Knives from your deck to your hand. 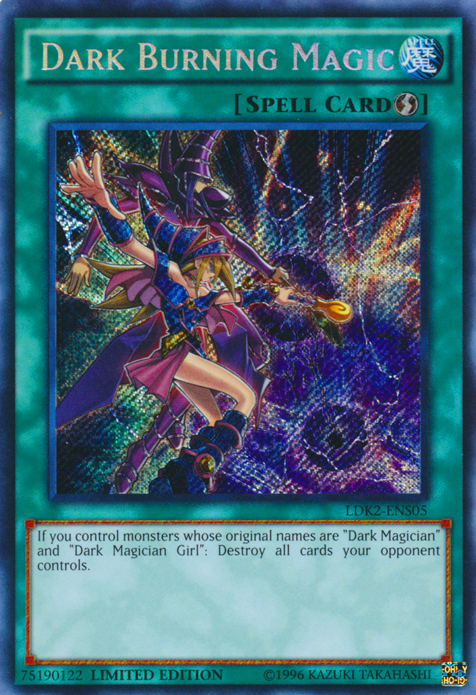 Dark Magic Attack in particular is a great supporting card, and the ability to special summon Dark Magician from two zones ensures you're never without your signature card. As impressive as these effects are, you must pay a price for Eternal Soul's power by destroying all monsters you control when Soul leaves the field, so be sure to keep it well protected. Similarly to the "miracle" ability seen in the Magic: The Gathering card game, Palladium Oracle Mahad offers an effect that activates when you first draw it. At that time, you can reveal Palladium to special summon it from the hand. In addition to mimicking Dark Magician's 2500 ATK and 2100 DEF, Palladium offers two additional traits. First, if it battles a dark-attributed monster, its ATK is temporarily doubled during the damage step. Next, when this card is destroyed (either by battle or effect), you can special summon Dark Magician from your hand, deck, or graveyard. Palladium offers your Magician build plenty of spectacular powers. 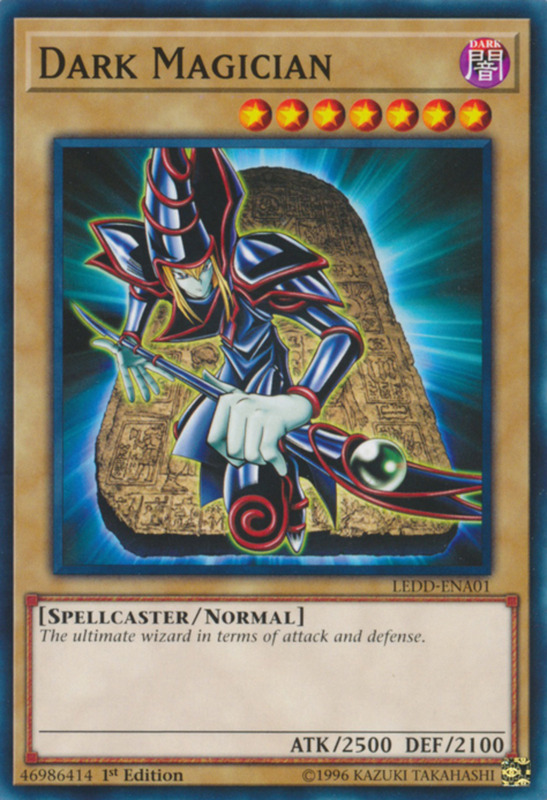 Thanks to its draw trait, you can easily summon it without tributes, it demolishes dark monsters in battle, and it summons Dark Magician from any of three different zones upon its demise. As a final bonus, note Palladium's light attribute—coupled with the dark attributes of most (if not all) Dark Magician members, you'll be able to meet the light/dark requirements for renowned Chaos monsters like Chaos Sorcerer or Black Luster Soldier - Envoy of the Beginning. 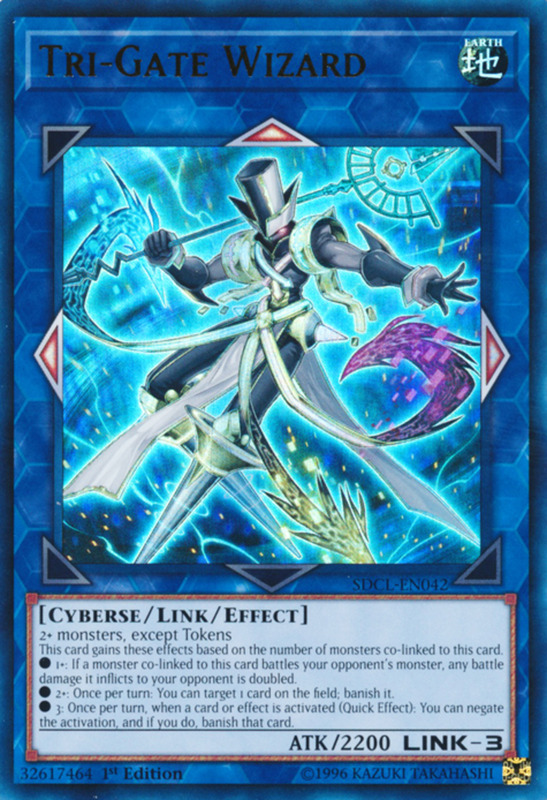 Another card copying Dark Magician's battle attributes (not to mention naming pattern), Ebon Illusion Magician is xyz summoned by using two level 7 monsters (such as Dark Magician). Once per turn, you can spend one of its xyz material units to special summon a normal spellcaster monster from your deck. 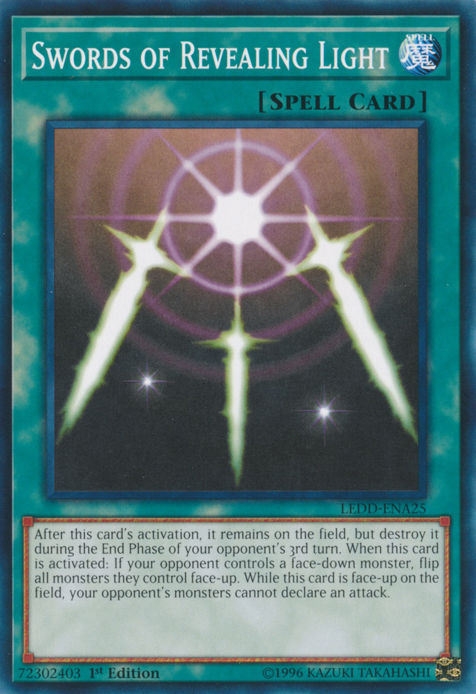 This can be used to pull a Dark Magician or even a normal pendulum monster like Dragonpulse Magician. Comboing perfectly with this trait, Ebon lets you once per turn banish any opposing card when a normal spellcaster monster declares an attack. Banishing opposing cards prevents them from being recycled from the graveyard, permanently removing them from your path to victory, and summoning from the deck fills your field without reducing your hand. 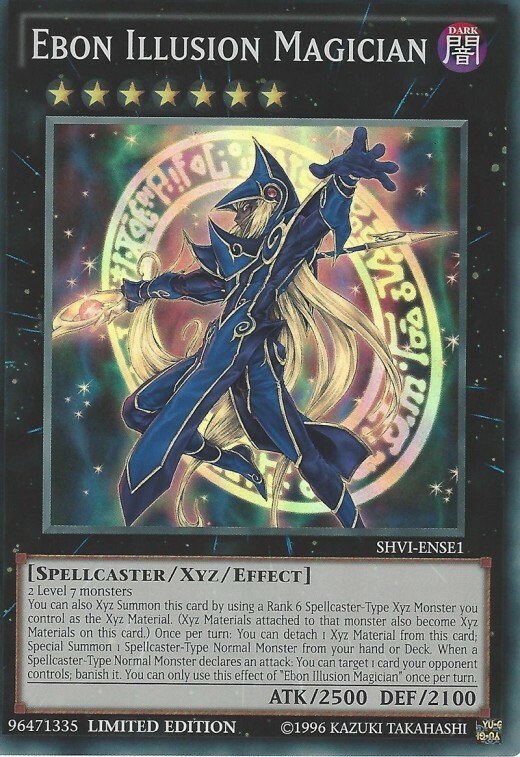 As a final gift, Ebon Illusion can also be xyz summoned with a rank 6 spellcaster xyz monster and its attached units as material, allowing you to play Ebon using a variety of tactics. One of today's simplest cards is also one of the best. 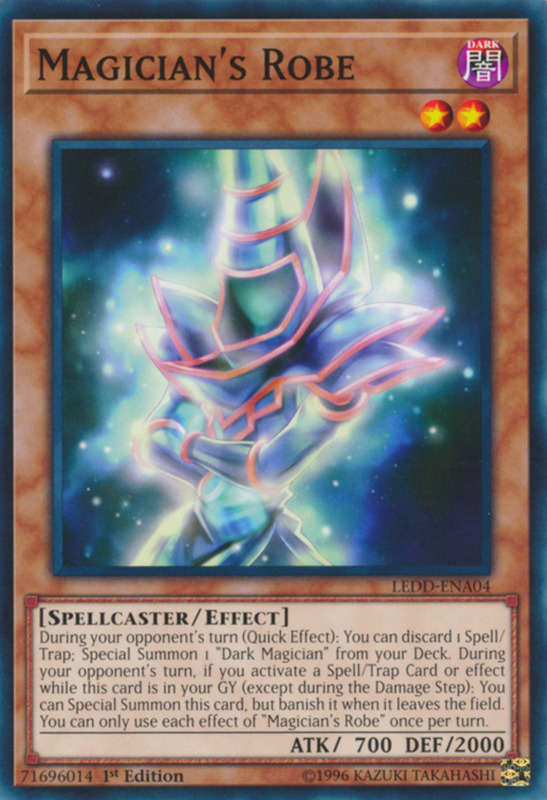 Magician Navigation first special summons a Dark Magician from your hand, then lets you summon any level 7 or lower dark spellcaster from your deck. 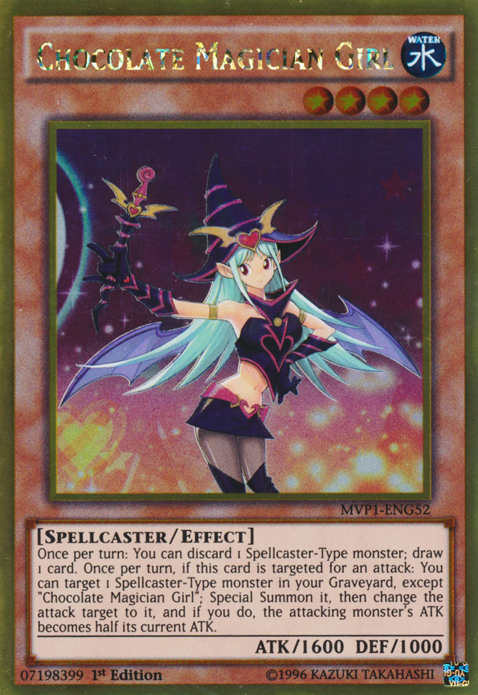 This could be another Dark Magician, Dark Magician Girl, or any other monster fitting the criteria. 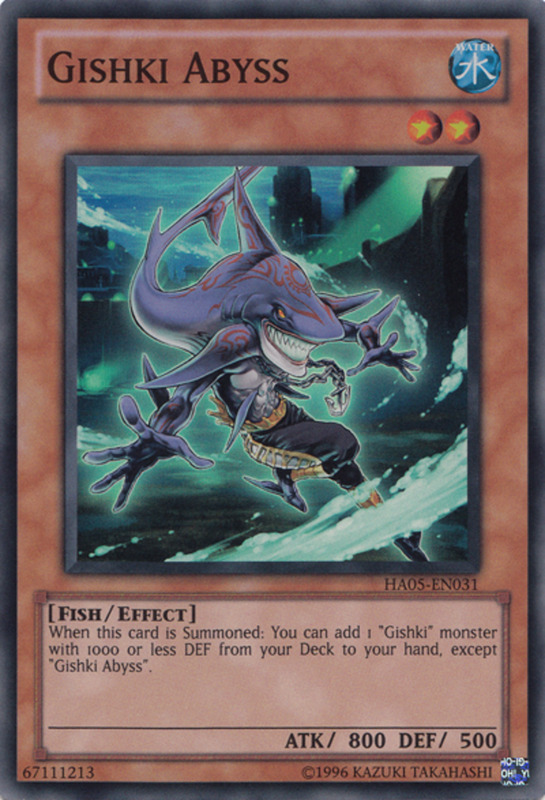 Two high level monsters fielded so easily works wonders and can be used to quickly xyz summon Ebon Illusion Magician. Beyond that, when this card rests in the graveyard, except the turn it was sent there, you can banish it to target and negate a face-up opposing spell or trap's effects for the turn. While this doesn't completely eradicate the card, it temporarily dampens it and lets you break through common stall tactics like Swords of Revealing Light. 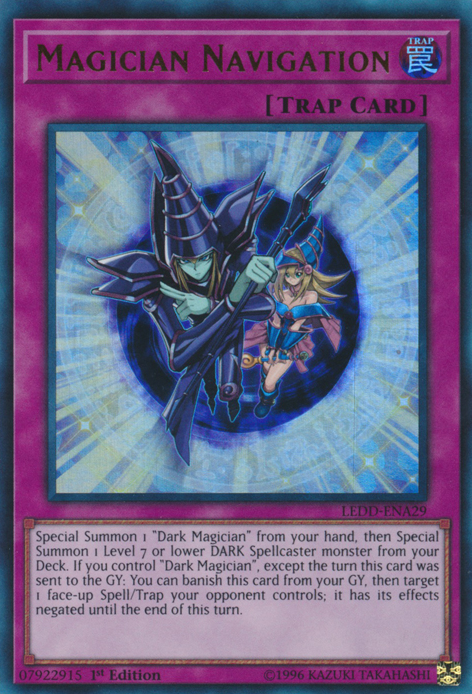 A continuous spell, when Dark Magical Circle is first activated it lets you look at the top three cards of your deck and add to hand a Dark Magician or spell/trap that specifically lists Dark Magician in its text. Unless luck is truly against you, this lets you play Dark Magical Circle without reducing your hand! Either way, you also get to place the remaining cards on top of your deck in any order, setting up your future turns as you see fit. After that, once per turn, when Dark Magician is normal or special summoned to your field (except in the damage step), you can target and banish any opposing card. 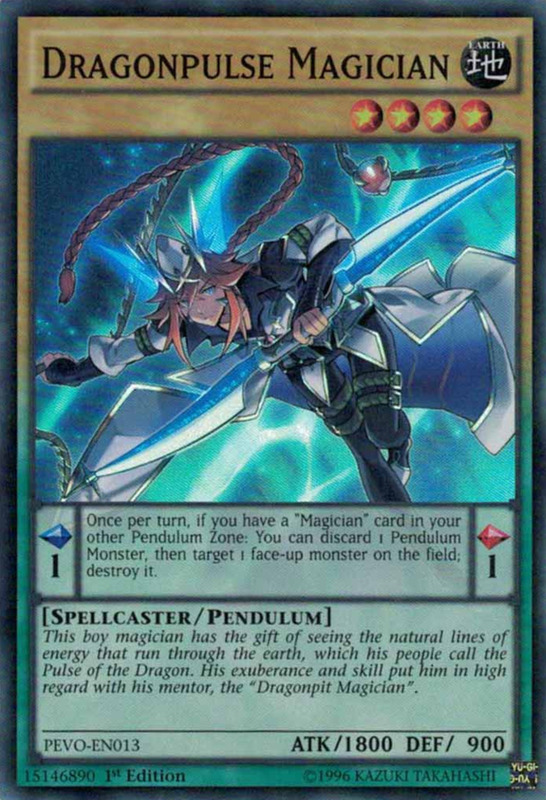 Since the first ability potentially searches for Dark Magician, it shouldn't be long before you're using Magical Circle to annihilate opposing cards of all types. 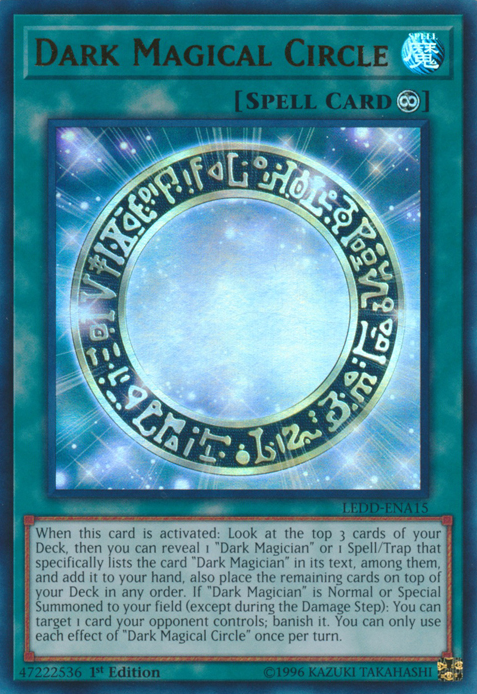 With only the small limitation of being able to activate each of its effects once per turn, Dark Magical Circle bestows immense power for virtually no cost and belongs in absolutely every Dark Magician deck. Dark Magician cards have withstood the test of time, and since most don't heavily rely on the extra deck, they transitioned well when the new extra deck limitation rules debuted alongside link monsters. Always keep your eyes peeled for potent Dark Magician benefactors (including more-general spellcaster supports), but with these ten entries in your deck, you're already well on the way to winning your duels. As we eagerly await more Dark Magician archetype members, vote for your favorite entry, and I'll see you at our next Yu-Gi-Oh countdown! 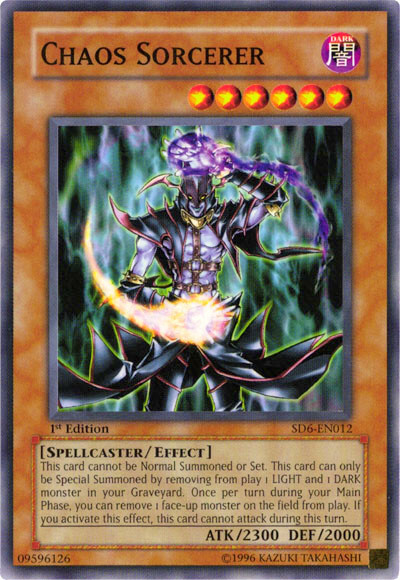 Are there any more Dark Magicians I could incorporate into a Yu-Gi-Oh deck? There's definitely some other awesome support cards to browse, linked to below. Does the effect of Oracle Mahad take place when you first initially draw it in a Dark Magician Deck as well? Yes, that's the only time you can use its first effect that lets you special summon it. If you don't activate that ability immediately, you'll have to field it by normal summoning with tributes or using other special summon effects. 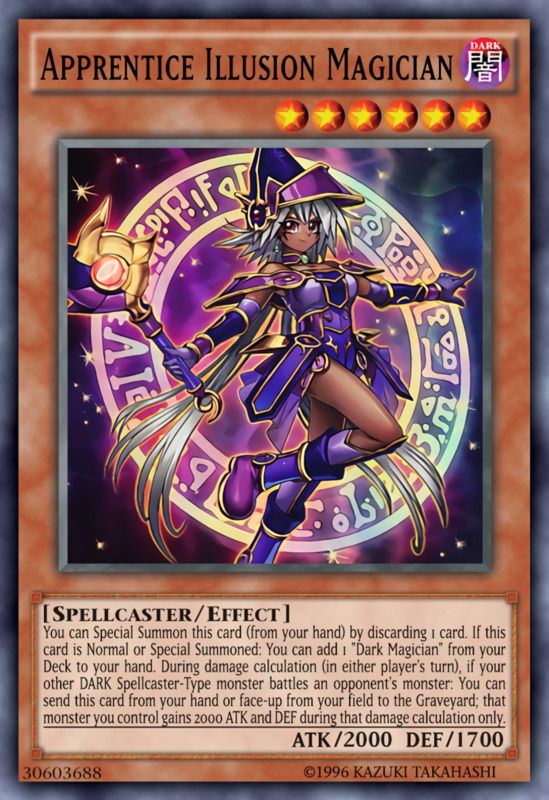 How about Dark Magician Girl as a card in a Dark Magician Yu-Gi-Oh deck? 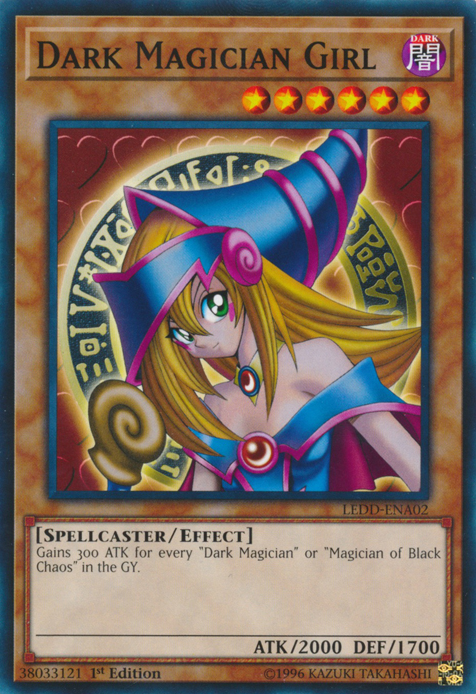 As classic as Dark Magician Girl is, her power stems from being a requirement for other cards, like "Dark Burning Magic". Thus, depending on which directions you take your deck in, she's either pretty useful or almost worthless. Do Archfiends work well with a Dark Magician deck? I can't think of many synergies between them, but hey, crazier things have been attempted. "Dark Burning Magic (something my exes specialize in) " nailed it man. Hmm, I still believe Apprentice is better than both Chocolate and DMG tho, and Dark Magic Attack is better than Dark Burning Magic. It's easily searchable in a DM deck, more easily used, and it's not like DM decks lack a way to deal with Monsters. Circle and Ebon are more than often enough to make those Monsters fade away, and got banished is much worse than got destroyed. My gosh this is super helpful because I have a Eye of Timeus, Claw of Hermos, and Fang of Critias, Dark magician deck, and I neede this to see what cards could protect my Eternal soul and help me summon dark magician so muck easier than having to tribute. Haha, if I took something off to make room for Apprentice Illusion, you could just say the same thing about the deleted item, but you're right, that's also a good Dark Magician support.